Leonardo’s Miysis DIRCM (directed infrared countermeasure) system successfully defeated a variety of MANPADS (man-portable air defense system) missile threats in a live-fire SALT (surface-to-air launch trial) campaign carried out in May/June at Vidsel in Sweden. During the trials the system acquired, tracked, and defeated targets detected by the Thales UK Elix-IR threat warning system. Both “dry” and “wet” trials were undertaken, the first denoting tracking-only tests, while the “wet” trials also employed laser jamming. For the trials Miysis and three Elix-IR sensors were packaged in a Terma Universal DIRCM pod, controlled by a Leonardo DAS (defensive aids suite) electronic warfare computer. The pod was mounted on a mast to represent a typical hovering helicopter. Miysis employed a laser jamming waveform developed by the UK’s Dstl (Defence science and technology laboratory), which sponsored the SALT tests through a contract that was announced in September 2017. 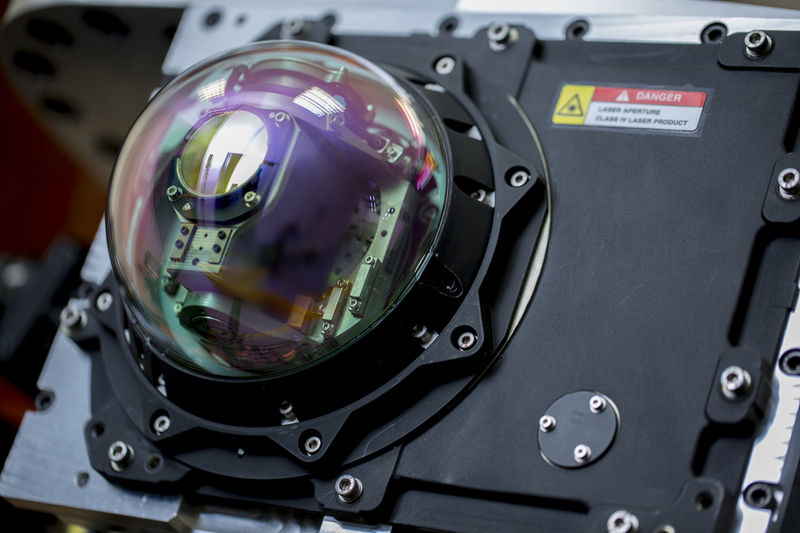 While Leonardo and Thales UK continue to market their products individually, the now-proven Miysis/Elix-IR combination provides a key sovereign UK capability to produce a countermeasures system to protect helicopters and large aircraft from the MANPADS threat. The combination can also be offered for export as an ITAR-free system, although the jamming waveform remains a UK-only function. Customers would be expected to provide their own waveform or could acquire their own sovereign capability from the UK as part of a government-to-government deal. Miysis has notched three customers to date. Canada selected the system for its CP-140 Aurora Block IV upgrade, for which deliveries are under way, while Hensoldt has selected Miysis as part of its AMPS (airborne missile protection system). Earlier in 2018 an undisclosed Middle East nation ordered Miysis jammers, which are now being delivered. Leonardo’s experience in the DIRCM field reaches back to 1995, when the company formed a partnership with Northrop Grumman to develop what became the AAQ-24 Nemesis system. Leonardo has provided more than 2,400 pointer trackers, mostly for U.S. forces, and is now working with Northrop Grumman to produce the next-generation CIRCM (Common IRCM) system. Miysis has been in development for nine years and was first tested in the air in 2012 aboard a Lynx helicopter as part of a Common DAS system. Much of the development work has been carried out in Leonardo’s SIL (systems integration laboratory) at its Edinburgh site, which mounts missile seekers on a spinning beam that can replicate incoming missile behavior, while the DIRCM system is mounted on a robot that mimics aircraft platform movement. Weighing 82.9 pounds (37.6 kg) installed, Miysis is a compact twin-head system, with low power requirements and ease of installation as key design drivers. The two jamming heads can hand over threats from one to another to provide seamless spherical coverage. With sometimes less than 2.5 seconds to defeat a MANPADS threat, the Miysis relies on cueing from a missile warning system such as Elix-IR. Once the incoming missile has been acquired, the system fires a coded laser at the missile’s seeker, confusing it so that it alters course away from its intended target. With a single threat the Miysis remains jamming the missile further for maximum security, but it can be retargeted against other threats sequentially, jamming each one in turn. This capability was demonstrated during the recent SALT campaign. In terms of operation the system is essentially automatic, requiring no crew input other than to switch the system on and off.